Come back to the country! 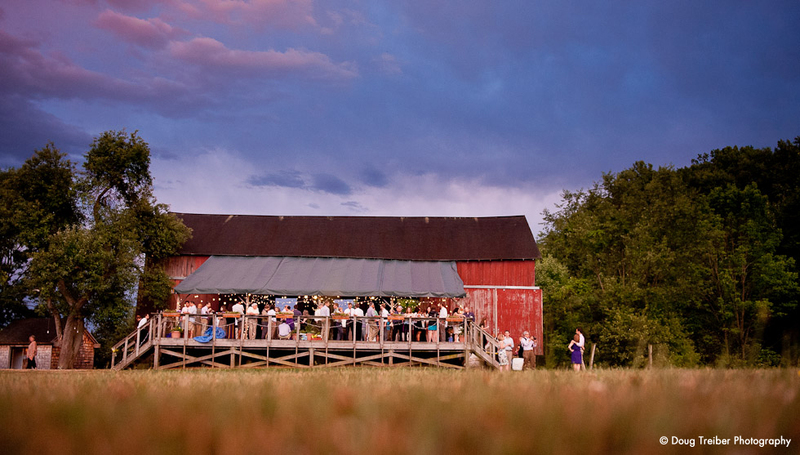 Our Bank Barn seats 170-180 guests with round tables, reserving space for a catering line and music with dancing on the deck. Our 25′ x 45′ covered deck can also be utilized for overflow seating to accommodate an additional 30-40 guests. The entire side of the barn opens to the deck allowing all guests to feel included. 10 acre Available weather permitting. Guests have been seated on folding card table chairs, white padded wedding chairs, green plastic lawn chairs and pillow case covered bales of hay.